to reflect either the season or the monthly theme. 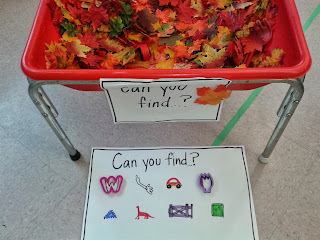 After interest in playing with these items waned, I turned the bin into an I Spy game. It would be best if the items I had included for the game had a Fall theme. But since I didn't have more Fall items other than what was already in my bin, I just used what I had on hand. and various toys from around the classroom. 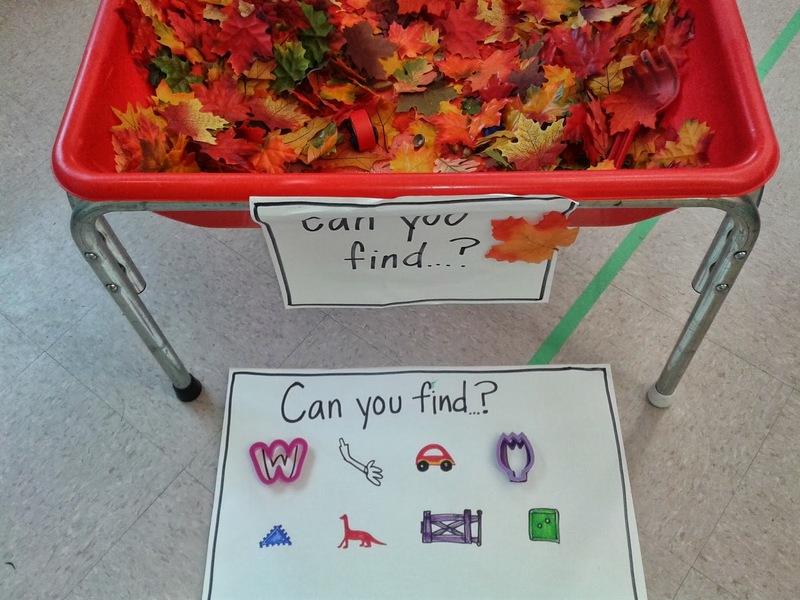 I also added a bunch of extra items to the bin that were not on the I Spy sheet to make the game more challenging. 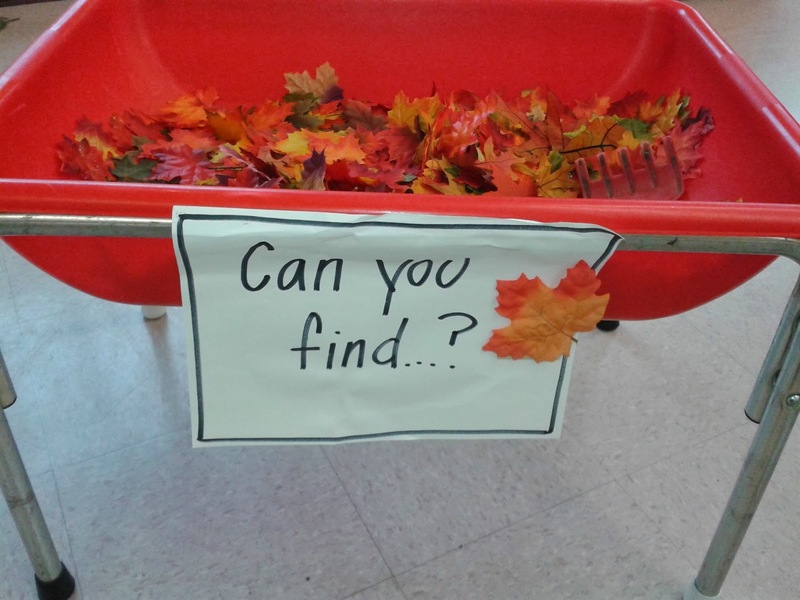 For instance, I included both a red dinosaur and a blue dinosaur so that the students would have to find not just a dinosaur, but the dinosaur that was the correct colour. I will change the items up next week for Halloween to include skeletons, ghosts, and other Halloween items.